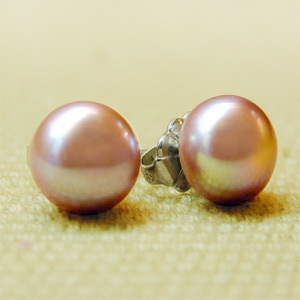 Fresh and glossy to decorate your ears during the brides special day. These 8 mm glossy pink are high on luster and will have you glittering. Peachy pink in color the earrings are a push back for pierced ears and made with 14K white gold.